Tried & True® is a collection of 250 varieties of garden plants and edibles selected for their dependability, superior performance, and ease of growth in a variety of gardening applications. Tried & True is committed to producing exceptional plant material and introducing outstanding varieties to the market place. 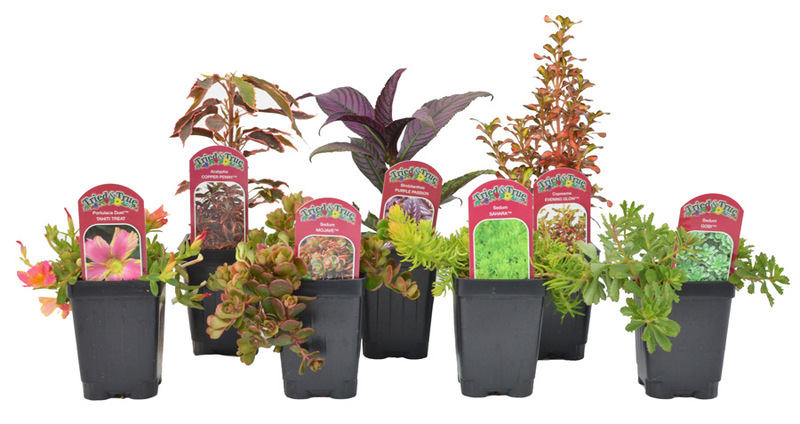 Home gardeners will find Tried & True plants in garden retailers and nurseries across Western Canada and parts of the United States. From creeping and low growing Verbenas to majestic Gauras that make a bold statement, Tried & True plants are perfect for gardens, containers and tight spots in urban gardens. We offer a diverse selection of over 160 premium varieties of annuals and perennials from the traditional to the new and unusual. Our garden collection has been bred to produce abundant flowers and lush foliage throughout the heart of the growing season. Our team collaborates with international breeders and young plant providers in search of interesting and innovative varieties. The old adage “We are what we eat” is now more relevant to people than ever. More and more are interested in eating vegetables that are good tasting, nutritious, organic and locally grown. Whatever the reason, people are growing food with a renewed passion. Tried and True Organic Edibles® makes it easier to grow your own. 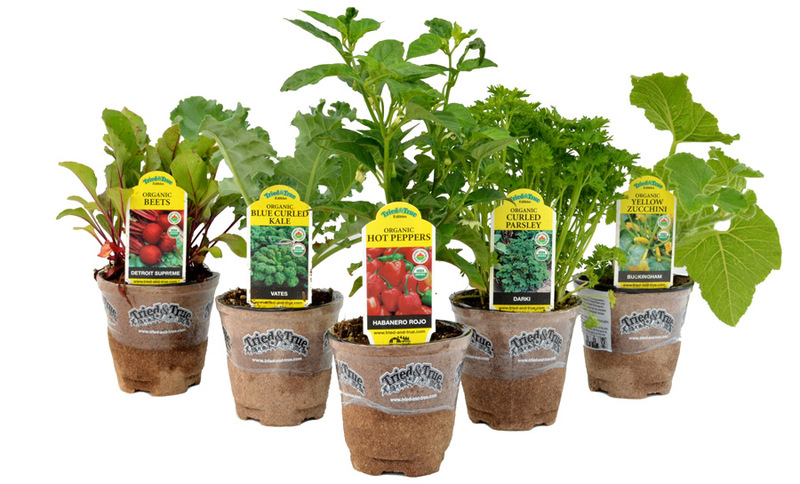 Our collection consists of over 80 premium varieties of garden-ready vegetable, tomato and herb plants. Our heirlooms and Edible varieties are preferred by gourmet chefs, restaurateurs, market growers and home gardeners alike. Each Tried & True Organic Edible is carefully chosen based on appearance, taste, reliability and yield potential. We are certified by TransCanada Organic Certification Services (TCO Cert), whose rigorous certification process helps to ensure the integrity of organics programs in Canada. We are committed to being environmentally friendly by using biodegradable peat pots, recyclable plant labels, integrated pest management and non-synthetic chemicals. Taste of the Season is a specialty collection of unique, gourmet plants created with foodies in mind. These are not the kinds of fruits and vegetables that you would find in your grocery store. This line features products that are unconventional and unusual, the kind of food that are at home in a fine dining restaurant or a niche farmer’s market. All Taste of the Season plants have excellent flavour and growing characteristics, and are all certified organic. Taste of the Season will make you a homegrown gourmet!